Become An Affiliate Marketer On AWeber Affiliate Marketing Program And Get Recurring Commission. If you are aware of email marketing and have an online affiliate marketing business then AWeber affiliate program would be a good choice for you. Sending automated emails are most important because the number of subscribers is growing fast and responding to them manually is very hard. These features send automated emails to your new subscribers by scheduling. To get genuine newsletter subscribers, the looks of sign up forms is significant. You get so many attractive templates, animations, and effects to create great looking signup forms. Creating a professional looking newsletter is very easy on AWeber by simply drag and drop feature. You can easily manage your subscribers check their segmentation, track them and many more. There are lots of other exciting features on AWeber like you can integrate third-party APIs on your newsletter, you can track your email marketing campaign performance, they have notable email delivery and lots of others. Looking at these features, people get attracted by AWeber. So now if you are thinking to join AWeber affiliate program, then you probably interested to know about their affiliate program. To promote their service on your blog or article sites, they provide different shape and design banners. They give codes for every banner which you need to copy and post to your blog. Banners are in different size, and you can choose as per your space. AWeber gives a lot of videos to promote. People who have their YouTube channels they can promote their affiliate links through video ads. People can use these videos to their blogs as well. They also provide codes for that and like the banners you get lots of videos covering features and benefits of using AWeber autoresponder tool. AWeber gives 45+ free email content templates courses to writing great emails. There they guide to create an email marketing strategy, how can you write good newsletters and all these. 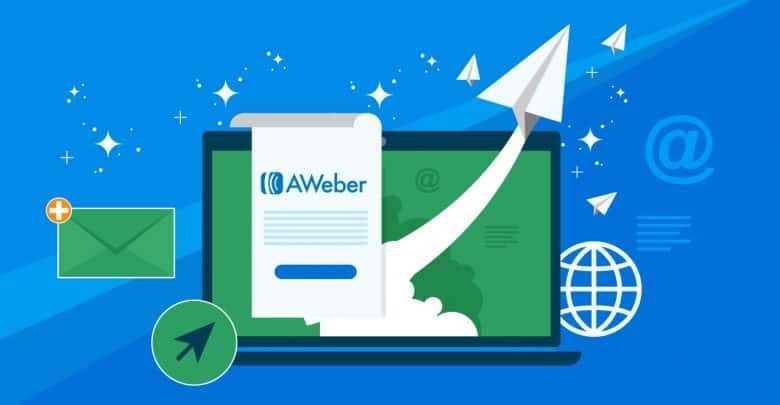 However, if you are already using the AWeber email marketing tool, then you can better understand their features and advantages of using AWeber. Not like other affiliate programs that you get an only one-time commission. You get the monthly commission. There are so many affiliate marketers on the AWeber who actually came to use the AWeber, and by seeing their robust affiliate program, they became an affiliate of that. Thank you for reading. We hope you have enjoyed the article. if you have any queries or suggestions, please comment below. If you want to read more affiliate marketing related articles you can read:- Know The Best Affiliate Marketing Niches For Bloggers In 2019, Udemy Review And How To Earn From Udemy, and How To Start ClickBank Affiliate Marketing And Make Money.